Oshkosh Beer Show #46 – ​Beerito! This week, Adam and I are drinking Beerito, a Vienna-style lager from Oskar Blues Brewery. Beerito is made with malt from Troubadour Maltings, one of the new craft maltsters on the American beer scene. Frank X. Thielen. Something profane would likely have accompanied that name were it uttered by an Oshkosh brewer in 1891. Thielen was their nemesis. He worked as an agent for “foreign” breweries. That is, he imported beer from large, American breweries intent on muscling their way into places served by smaller, regional breweries like those here. 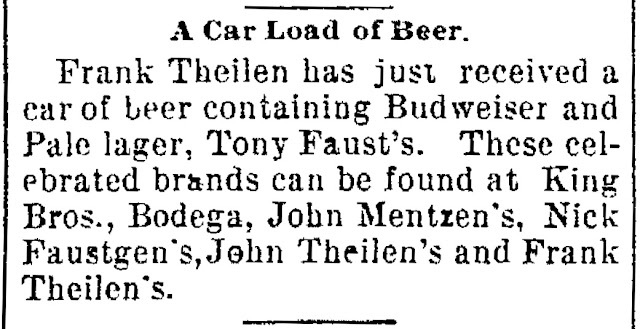 Thielen was the beer merchant of Oshkosh. Here’s a look at his work. Frank X. Thielen was born in the Rhine Province of Western Germany in 1840. 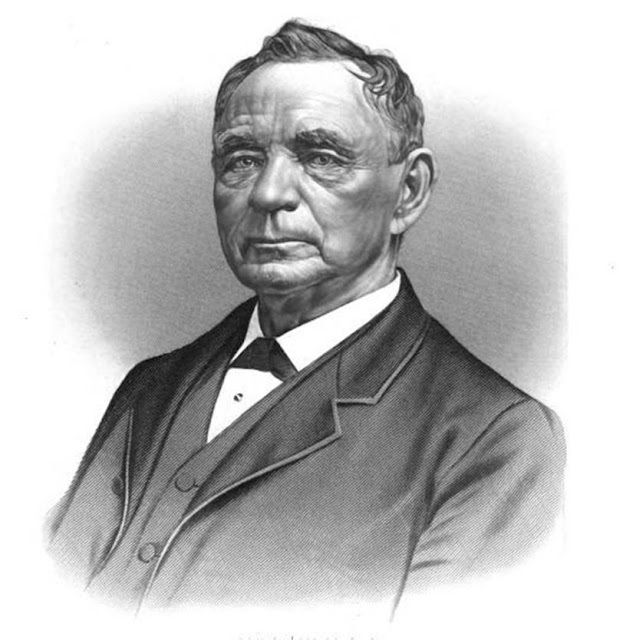 In 1858, he arrived in Oshkosh and found work as a railroad brakeman. But by the early 1870s he had gone off the rails in favor of selling groceries and liquor from his father’s store on Main Street. By 1884, Frank X. was running the place. He planted a saloon at the back of the grocery. Liquids gradually crowded out the solids. Thielen's stand transformed into both a tavern and wholesale liquor distributorship. He took to calling it the California Wine House. 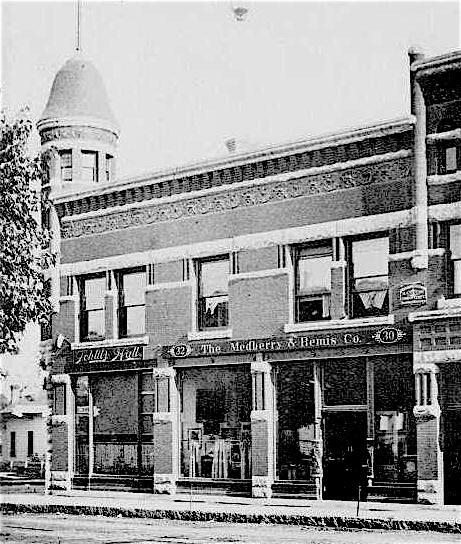 Designed by William Waters in a style described as “commercial Gothic,” Thielen’s home base still stands at what is now 420 N. Main Street. 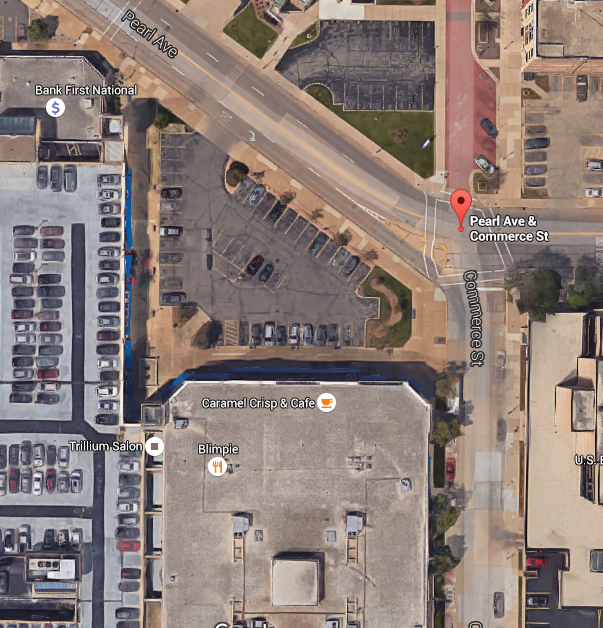 Thielen's place is under the red arrow. Calling it a wine house may have lent an upscale sheen, but beer was Thielen’s meat. He’d been bringing in beer from Milwaukee since the late 1870s. He began with Milwaukee’s Cream City Brewing Company, importing and bottling its Export Beer. Here’s a damaged and very rare Thielen beer bottle. At the close of the 1880s, Oshkosh’s breweries were losing their grip on the local beer trade. The four breweries were engaged in a price war that made them vulnerable to outside competition. Thielen saw opportunity there. In 1890, he began importing beer from the Falk, Jung & Borchert Brewing Company of Milwaukee. The Milwaukee brewery was a rapidly growing concern producing more than 175,000 barrels of beer annually. Thielen arranged to have a refrigerated warehouse built for Falk, Jung & Borchert in downtown Oshkosh, just off Pearl Avenue near the Wisconsin Central freight depot. You'd be looking at it if you stood here back then (this is an interactive view, explore it!)…. Thielen was shooting for the higher end of the Oshkosh beer market. His imports found their way into the craft-beer bars of his day – saloons that didn’t rely on mugs of dark beer offered for a nickel a pull as their primary stock in trade. His domain was downtown. Henry Schmidt’s Opera House Sample Room was a favored outlet. Here’s a typical early 1890s newspaper ad for a Thielen import. The Opera House Sample Room, as you might guess, was near the Grand Opera House. Like the Grand, it was also a William Waters design. The two buildings have a shared look. Each is constructed of cream colored brick, with similar accents and cornice work. Here they are face to face with High Avenue between them. Enough of that, let’s get back to our man Thielen. His next client was especially well known. In 1891, the Anheuser Busch Brewing Association was the second largest brewery in America, Pabst being the only brewery with greater output. When Thielen began importing AB, the beers of the St. Louis brewery were something of a novelty here. Budweiser had poured in Oshkosh before, but the beer had never been widely embraced by local drinkers. Thielen set out to change that. Again, Thielen plied downtown saloons offering pricier beer. Here’s an ad that ran in the Oshkosh Northwestern during May of 1891 announcing the latest arrival of Anheuser Busch beer in Oshkosh. There’s a lot to unpack there. Let’s start with the beer. Budweiser and Pale Lager, forget it, it’s Tony Faust’s I’d go for. Faust was a golden-hued lager, and by most accounts a fairly hoppy one. It was a premium brew exceedingly popular with the beer geeks of its day. And what sort of places were serving it in Oshkosh? There are a couple mentioned above to take note of. The King Bros. Bodega was located at the corner of Algoma and Market streets on the plot next to where the sundial now sits in Opera House Square. Fred and Peter King ran a high end joint, “First-class in every particular,” featuring, “Fine wines and liquors, imported and domestic cigars” and “High grades of bottled goods.” John Thielen's sample room was cut from the same cloth. Frank Thielen’s high-end beer strategy worked even better than he probably expected. By 1893 his business was booming. Here’s an homage to the man from the book Pen and Sunlight Sketches of the Principal Cities in Wisconsin, published in 1893. 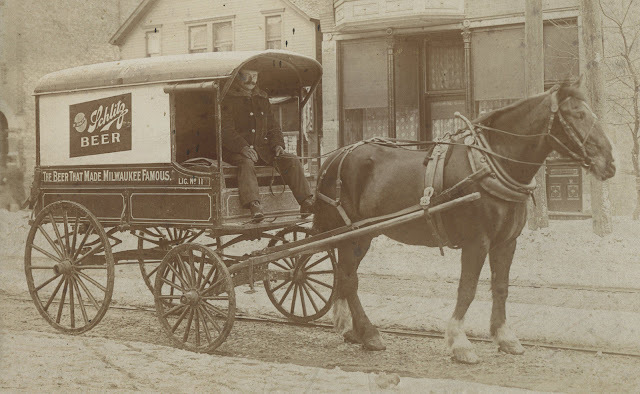 Any commercial history of Oshkosh would be incomplete without a review of one of the pioneer business houses of the city, now known under the name of Frank Thielen… He employs four clerks, and has two teams for the delivery of orders, and has a very large and rapidly increasing trade. 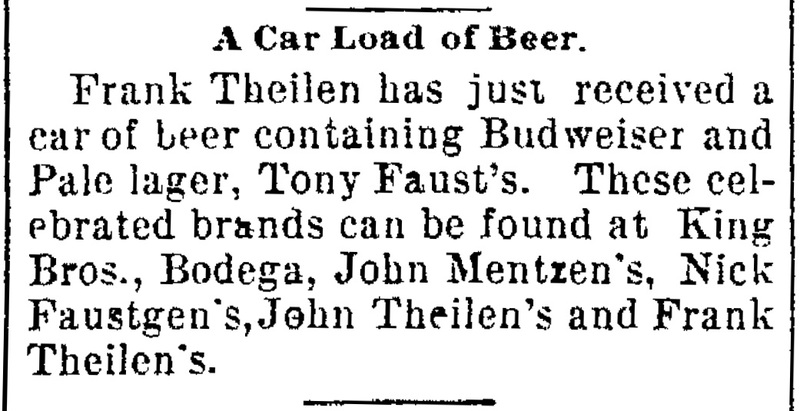 Unfortunately for Frank X. Thielen, 1893 also marked the peak of his career as a beer merchant. The decline began with the Panic of 1893, which cast a pall over beer sales in Oshkosh. But the greatest impediment to his success was one that he had helped to create. 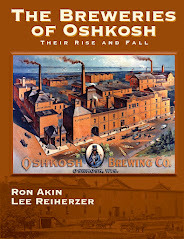 Struggling with the foreign competitors that Thielen and others had brought to town, the three largest Oshkosh breweries merged in 1894 to form the Oshkosh Brewing Company. By the late 1890s, OBC so dominated the Oshkosh market, that Thielen all but gave up distributing outside beer. He continued to operate his saloon, but his peak years as a beer merchant were over. Thielen retired from the saloon trade in 1913. He died a year later at his home on Washington and Broad streets in Oshkosh. Frank X. Thielen is buried in Riverside Cemetery. His saloon lived on. Thielen's sons Frank Jr. and Sam kept the family tavern running until Prohibition closed everything down in 1920. Here’s a brief coda to the Thielen story I find interesting: after Peoples Brewing Company launched in 1913 in response to the domineering ways of the Oshkosh Brewing Company, the Thielen brother's saloon was among the first on Main Street to put Peoples Beer on tap. You know their father would have liked that. Thanks to Ron Akin and Steve Schrage for help with this post. This week, we head back to Bare Bones Brewery in Oshkosh to taste Dog Daze IPA with brewmaster RJ Nordlund. ... nearly all the large brewing companies of the country have established or will soon do so warehouses and branch offices here. The Christian Moerlein Company, of Cincinnati, built a warehouse last fall. Falk, Jung & Borchert of Milwaukee, also have a branch establishment here and the erection of warehouses will be commenced immediately by the Anheuser-Busch Company of St. Louis, Pabst Company, of Milwaukee, and Schlitz Company, of Milwaukee. These beer warehouses are called coolers and need little ice owing to the formation of the walls which are two feet in thickness and consist of alternate dead air spaces and layers of sawdust. The Times neglected to mention that Miller Brewing would also soon join the march on Oshkosh. The inundation of beer would have a devastating effect on the breweries located here. In 1891 there were four breweries producing beer in Oshkosh. At the close of 1894 there were two. I covered the Schlitz blitz a couple weeks ago and over the next few weeks I’ll get into the other breweries mentioned here. But let’s start with the Christian Moerlein brewery. This building was located near the southwest corner of what is now Commerce and Pearl streets. Here’s a map from 1890. 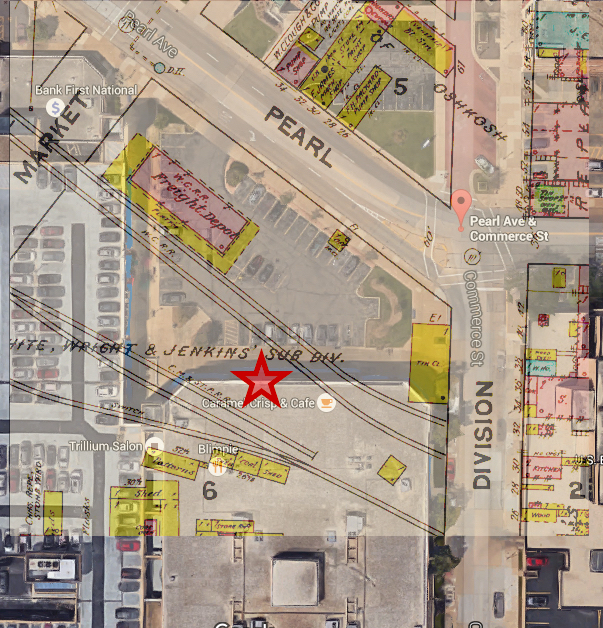 Moerlein’s warehouse was situated right about where the red star has been stamped. Let’s dial this in. Here’s the 1890 map overlaid with the current aerial view. These beer warehouses and bottling plants were all clustered in the same area. The Falk, Jung & Borchert, Miller, Pabst and Schlitz branches were within a two block radius of the Moerlein branch. The railroad spurs that criss-crossed this part of town made it an attractive destination for breweries shipping in beer by rail. Moerlein appears to have made the smallest dent of any of these breweries. The 1893 City Directory, which came out a couple years after the Moerlein warehouse went up, doesn’t even list the brewery or mention it having an agent in Oshkosh. When you consider the size of the city, it’s fairly amazing that so many breweries would show such an interest in Oshkosh. 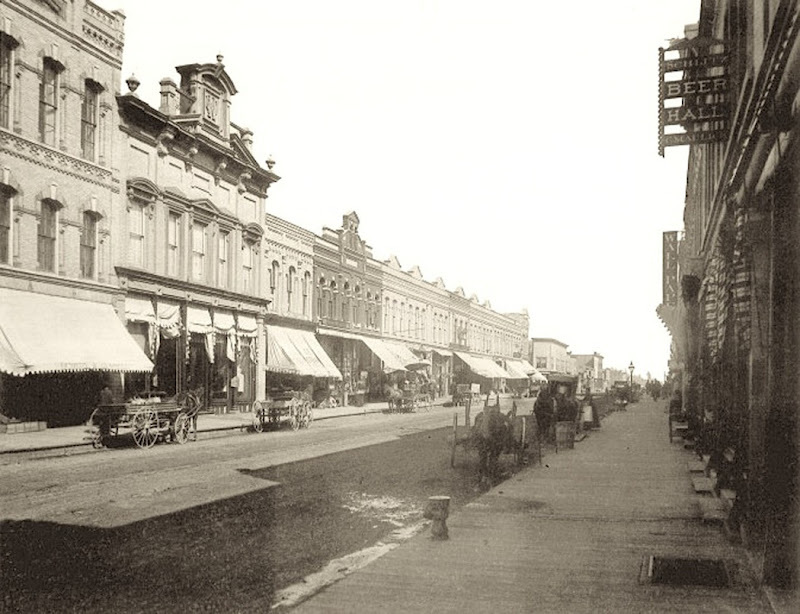 The city’s population in 1891 was approximately 23,000. But its reputation was known far and wide: Those Oshkosh folks consume heroic quantities of beer! Barley John's Brewing Company opened its brewery in New Richmond, WI. last August. This week, we’re drinking Old 8 Porter, the first of Barley John's beers to reach Oshkosh. 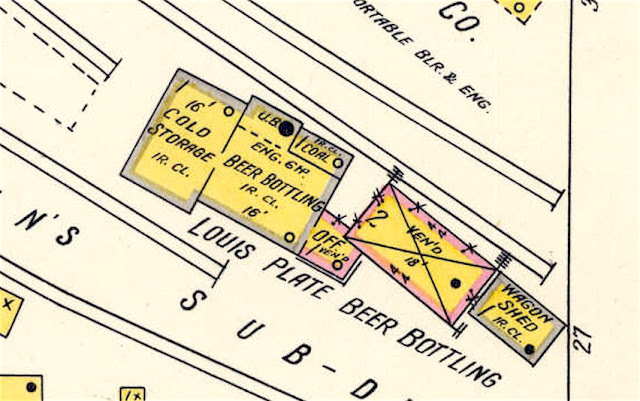 In last week’s post about the Schlitz blitz in Oshkosh I mentioned the extensive bottling plant Schlitz built at what is now Commerce Street between Pearl and High. This week, I want to take a look at the folks who were running it and some of the bottles that came out of the place. First, let’s get our bearings. If you were to head over to Commerce Street today searching for the Schlitz bottling plant, here’s what you’d see. The bottling plant was located just about smack dab in the middle of the building where 4 imprint is located. Here again, is the 1903 map I posted last week showing the layout of the Schlitz facility. The Schlitz bottling plant was completed in 1891. Schlitz would send wooden kegs full of beer by train to Oshkosh where the local plant manager was responsible for getting it into bottles. Often those bottles were imprinted with the name of the man running the plant. The first manager of the Schlitz branch in Oshkosh was Charles Maulick. He also ran the Schlitz Beer Hall (now Oblio’s Lounge) during this period at what is now 432-434 N. Main Street. Here are a couple of the early bottles that came out of the Schlitz bottle works in Oshkosh. Here’s the stopper used to cork that bottle. It’s imprinted with the Charles Maulick logo. Maulick bailed on the bottling business either in the latter half of 1898 or early 1899. He was succeeded as Schlitz’s primary Oshkosh agent by a man named Peter Henrichs. Though Henrichs appears to have run the plant for a year or more, I’ve neither seen nor heard of any bottles bearing his name. By 1902, Plate had assumed bottling operations for Schlitz in Oshkosh. This was a heady period for Schlitz. It had just surpassed Pabst as the largest brewery in the world, producing more than 1 million barrels of beer annually. Here’s an ad from May 1902 featuring the Schlitz man in Oshkosh. By 1903, Plate had left the bottling plant to run Schlitz Hall at the corner of State and Washington streets in Oshkosh. Bottles embossed with his name are exceedingly rare. Here’s one that’s in great shape. Lifelong Oshkosh resident, Emil Thom took over the Schlitz branch after Plate departed. The first notices for Thom as the Schlitz agent began appearing in 1903. Here’s an attractive ad for Schlitz that ran in the Oshkosh Northwestern during Thom’s tenure. You’ll notice his name at the bottom. A couple of Thom bottles filled in Oshkosh and embossed with his name. By 1908, William Ganzer was running the Schlitz branch here. He remained at the helm longer than any of his predecessors. The onset of Prohibition cost him his job. 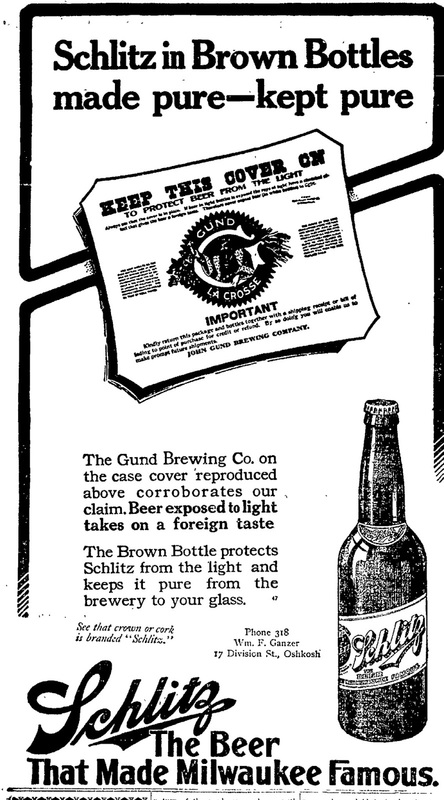 Here’s an ad from 1913 when Ganzer was peddling Schlitz (you’ll see his name near the bottom). In this one, Schlitz is trash talking the John Gund Brewing Company of La Crosse for its use of clear bottles. A couple of nice looking Ganzer bottles, brown of course. Schlitz shuttered its Oshkosh branch just prior to Prohibition beginning in 1920. The property was sold by the brewery in 1928. 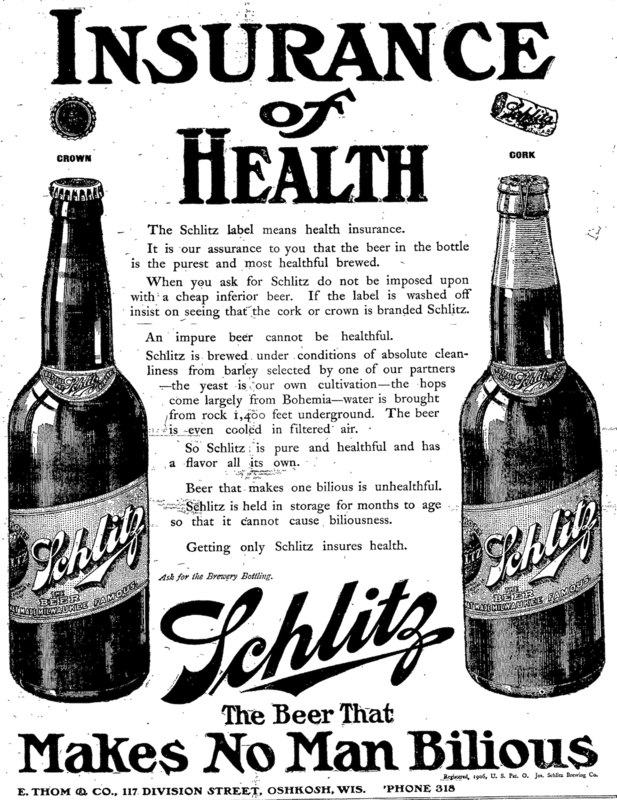 When Prohibition ended in 1933, Schlitz beer returned to Oshkosh. But it was no longer bottled here. Gone were the days of the Schlitz agent roaming the city on a clattering wagon packed with blob-top bottles of beer filled in Oshkosh. Thanks, in a big way, to Bob Bergman and Steve Schrage for help with this post. Their input was invaluable. This week we’re drinking Milwaukee Brewing Company’s Wolfhound Imperial Irish Red Ale and getting an early look at the Ruby Owl Taproom, a gastropub opening soon at 421 N. Main Street in downtown Oshkosh. Folks from the Wisconsin Historical Society are tromping around Oshkosh this week sharing stories and lore concerning the history of Wisconsin. You can find the full calendar of events HERE, but there’s one in particular that’ll be of interest to the beer-minded among us (which is pretty much all of us). 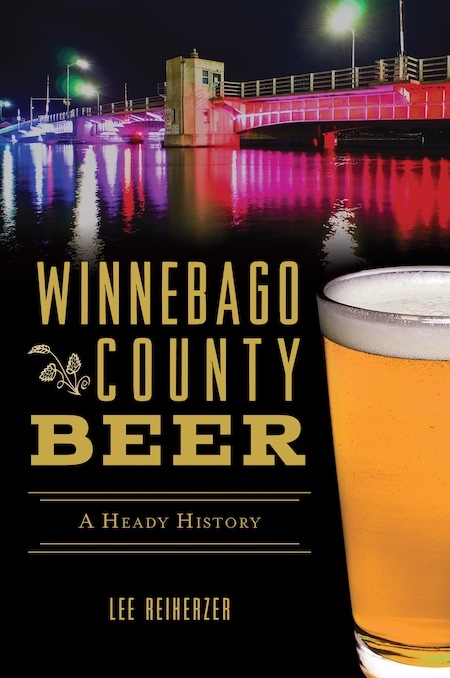 Thursday, April 7 at 5:30 p.m. author Jim Draeger of the WHS will be at Oblio’s for a history happy hour. Draeger, the author of Bottoms Up: A Toast to Wisconsin's Historic Bars and Breweries, will talk Wisconsin tavern history and have signed copies of his book on hand. 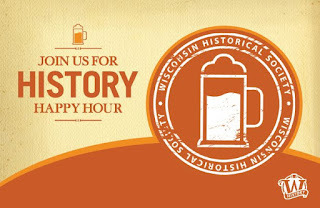 There will also be displays of Oshkosh and Wisconsin brewery memorabilia from the collections of three local collectors. Some of this stuff is truly amazing. To round things out, I’ll be giving away free samples of my homebrewed clone of pre-Prohibition Schlitz. The recipe for this beer is something I’ve been working on for a while. I finally managed to find the missing pieces in a couple of old brewery trade publications this past winter. 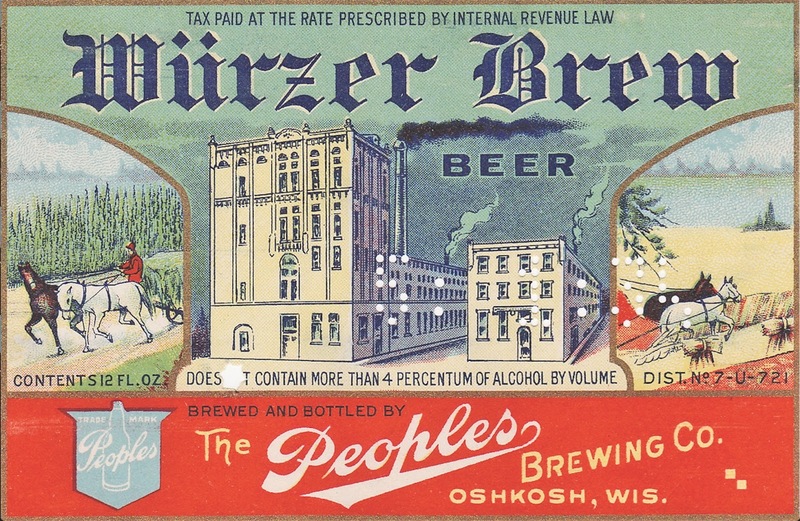 "It is claimed that Milwaukee beer is sold at but six saloons in the city and that at all the others the product of Oshkosh brewers is kept on tap." If August Uihlein saw that blurb he probably had a good laugh. He owned one of those six Oshkosh saloons selling Milwaukee beer. And he knew that it was just the beginning. Oshkosh’s insular beer market was about to get a major injection of beer from the Cream City. Much of it would flow from the brewery Uihlein controlled. Schlitz was coming to Oshkosh. The German-born August Uihlein was chairman of the board and secretary of Schlitz Brewing Company. 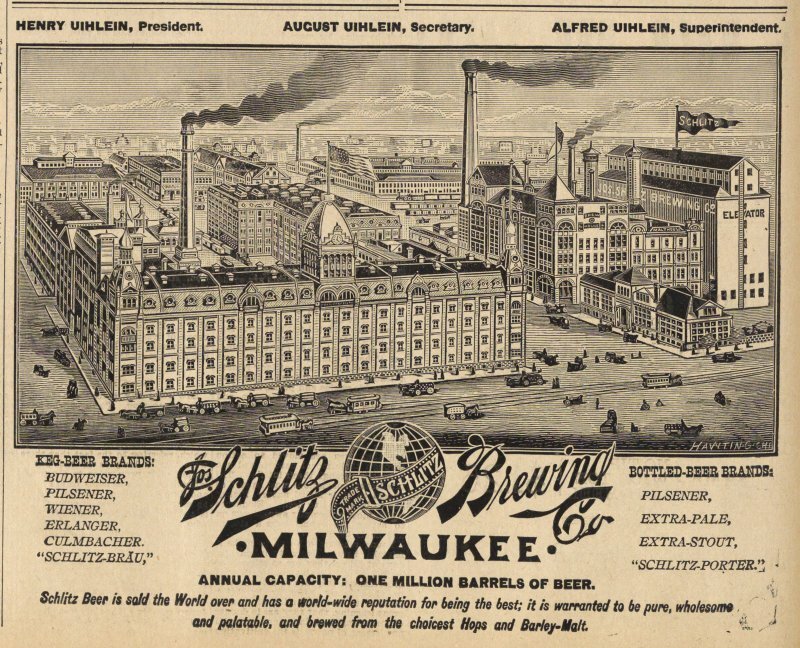 Schlitz was then one of the 10 largest breweries in the nation and the second largest in Milwaukee behind Phillip Best Brewing (soon to be renamed Pabst). Schlitz was expanding in all directions as it sought new markets for its beer. Uihlein liked the potential for growth he saw in Wisconsin's third largest city. 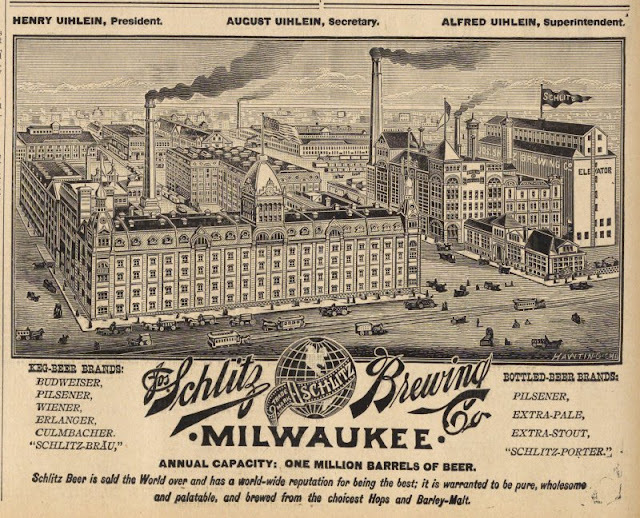 Schlitz had been sending its beer into Oshkosh well before 1886, but the brewery made little headway. 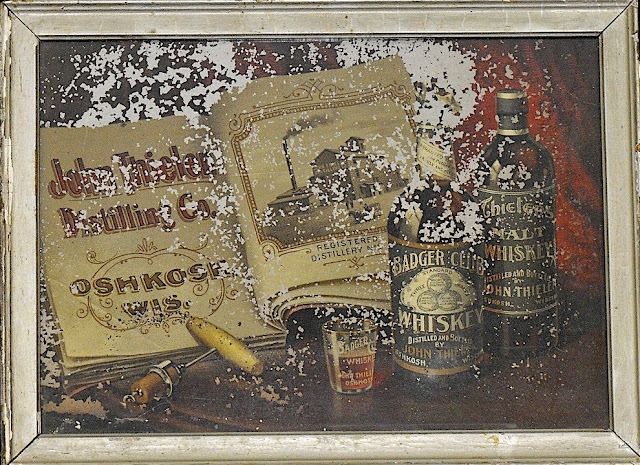 Oshkosh's breweries had a virtual lock on the saloon trade and bottled beer for home use was still something of a novelty. Uihlein recognized that if he was going to build a substantial trade here, he'd have to establish a base to work from. To do that, he'd need a local to open doors for him. He found that person in William Dichmann. Uihlein couldn't have picked a better liaison. William Dichmann was as well connected as an Oshkosh businessman could be. He owned the city's largest grocery on Main Street and was among Oshkosh’s most influential German-born citizens. His popularity would soon be parlayed into winning two Mayoral elections. But for now, Dichmann was helping his Milwaukee friend find his way in Sawdust City. How Dichmann and Uihlein came together isn't clear, but by 1886 they had built a bond that would prove fruitful for both. Dichmann's role was crucial. He acted as the lead man for Uihlein, acquiring Oshkosh properties at a reasonable price that Schlitz would then use to build its business here. The Milwaukee beer baron could never strike such deals as Dichmann could in a city where his extreme wealth was known to all. The first venture Dichmann and Uihlein undertook proved to be more rocky than either of them anticipated. On March 19, 1886, Dichmann purchased two lots at the southwest corner of Washington and State streets, kitty corner to where the Oshkosh Public Library now stands. The plan was for Dichmann to then immediately sell the property to Uihlein, who would build a Schlitz saloon on the site. But a furor arose when word of the scheme leaked out. The Signal, a short-lived, Oshkosh-based Prohibition newspaper uncovered Dichmann's intent in purchasing the downtown property. The dry rag made haste denouncing the plan, claiming Uihlein's new saloon would have a corrupting influence on the young. In the ensuing backlash, Moses Forbes, who had sold Dichmann the property, attempted to void the transaction. Dichmann won that battle, but he was still on the defensive. Dichmann backpedaled. He first said the proposed building would be "an ornament to the city," but then denied that the purchase had been made on Uihlein's behalf or that a saloon would go there. Dichmann knew that wasn't true. Four days later, when things had quieted some, Dichmann sold the lots to Uihlein. But at least for the time being, the uproar put a damper on the plans for the property at Washington and State. Dichmann and Uihlein pivoted, turning their attention to a hot spot on Main Street. Three year earlier, in October 1883, Dichmann had purchased a vacant piece of land that’s now addressed as 432-434 N. Main. He then enlisted Oshkosh architect William Waters to design a building for the location. Constructed of red-brick, the two-story building would be Waters' interpretation of the Queen Anne style. It came to be known as the Dichmann Block and by December 1884 it was ready for occupancy. The Dichmann Block featured two separate commercial spaces at street level with apartments above. The place immediately filled with saloonists. The northern portion now addressed as 434 N. Main was taken by Gustav Eilers, who launched a grocery and saloon there. The southern half, at what is now 432 N. Main, became the saloon of Charles Maulick. Both men lived with their families in rooms above their saloons. Maulick's venture would be the one that stuck. A German immigrant, Maulick had come to Oshkosh in 1877 and later established a saloon on Ceape Avenue. By the time he relocated to the Dichmann Block, he was well known in town. His new saloon became an immediate hit. Maulick's rise hadn’t escaped the attention of August Uihlein. With his plans for a Washington Avenue saloon on hold, Uihlein again turned to Dichmann. Though Maulick ran the saloon on Main, the real estate was still owned by William Dichmann. Not for long. On August 13, 1886, Dichmann sold the property to Uihlein. 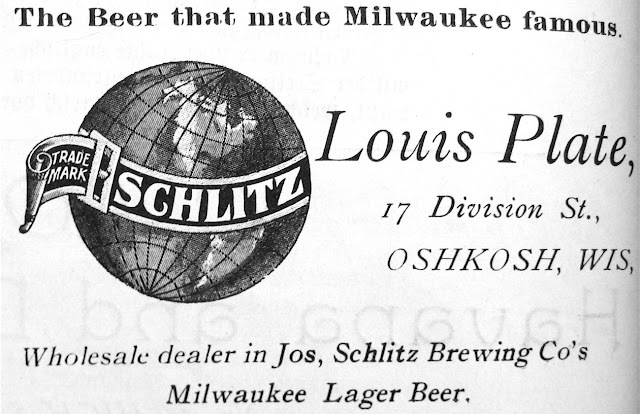 Schlitz now had its base in Oshkosh. It was named the Schlitz Beer Hall. The sign for the Schlitz Beer Hall can be seen in the upper right. 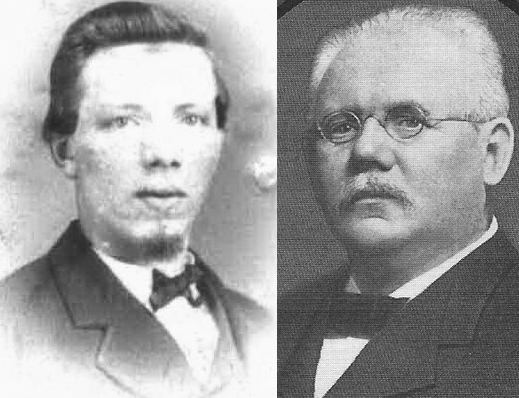 The business relationship of Maulick and Uihlein developed rapidly. The building was in Uihlein's name but the saloon license was in Maulick's. That was mere formality. The two worked in concert. Maulick became the sole agent for Schlitz beer in Oshkosh, his saloon offering no beer other than that of the brewery which owned the building where he lived and worked. With his foothold finally established in Oshkosh, Uihlein returned his attention to his idle plot on Washington Avenue. Years earlier, Dichmann had brought in William Waters to draw up the design for the saloon Uihlein wanted. In 1891, five years after Uihlein purchased the land, the new branch for Schlitz Beer in Oshkosh was finally going up. This one was a Schlitz saloon from the start. Schlitz at this time was prolifically building tied-house saloons in cities where the brewery was trying to build its brand. Many of these saloons had a similar appearance influenced by Queen Anne style design. The saloon at Washington and State adhered to the pattern. Completed in the fall of 1892, what came to be known as the Uihlein Block was constructed of red, pressed brick and featured a towering, domed cupola over the entrance to Schlitz Hall. The interior also had the Schlitz stamp. 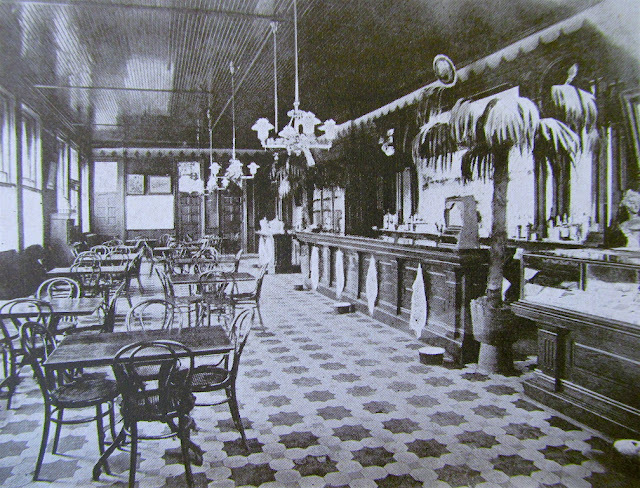 By the 1890s, the palm-garden theme was a well-known trademark of Schlitz saloons. While work progressed on the new saloon, August Uihlein launched the next phase of his Oshkosh blitz. It was time again to call in Dichmann. On February 24, 1891, Dichmann purchased a narrow lot on the west side of what is now Commerce Street between Pearl and High. 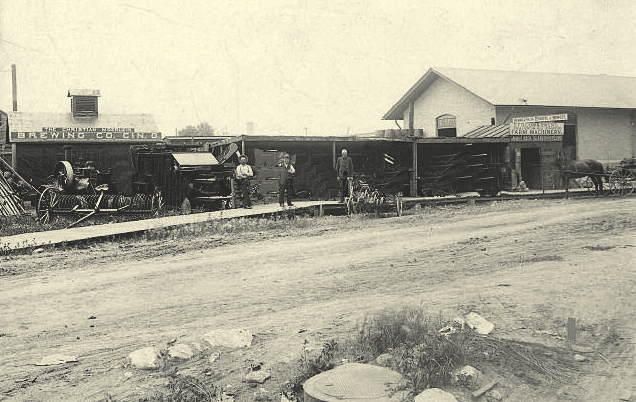 Joined by a railroad spur, the property was ideal for what Uihlein had in mind: a bottling plant and warehouse for distributing Schlitz in northern Wisconsin. Perhaps still smarting from the kerfuffle that followed the purchase of the Washington and State property, Dichmann held the deed for three months before transferring ownership to Uihlein. If any doubts remained that the Milwaukee brewer meant business in Oshkosh, they were brushed aside by the Oshkosh Times’ description of the new Schlitz facility. The Schlitz Brewing Company has just completed near the Wisconsin Central depot a warehouse for their product that is worth notice. It is built on the modern refrigerator style and contains all the appliances for the preservation at the proper temperature for beer. It is an expensive structure and is quite an addition to the city’s semi-public buildings. The company intends to make this city the distributing point for this region. They have selected the popular firm Maulick & Kitz for their agents, a stroke of policy that insures the success of their wholesale trade. A 1903 map of Schlitz' bottle works in Oshkosh. Louis Plate succeeded Maulick as the Schlitz agent in Oshkosh in 1898. In 1890, Charles Maulick had taken on Frank Kitz as his partner at the original Schlitz Beer Hall on Main Street. When the bottling plant went into operation, Maulick concentrated on the distribution side of the business while Kitz oversaw the saloon. The arrangement was typical. Schlitz would send kegged beer in refrigerated rail cars to its Oshkosh branch. Most of that beer would find its way into area saloons where it was served on draught. The remainder was re-packaged at the Oshkosh plant in bottles embossed with the name of the local agent. In this case, Charles Maulick. Maulick remained the primary agent for Schlitz until 1898. He abandoned that post and severed his ties with Schlitz shortly after a death by alcohol poisoning occurred at the Schlitz Beer Hall. Maulick would be succeeded by a series of Schlitz agents and bottlers, but his leaving marked the apogee of Schlitz’s success in Oshkosh. 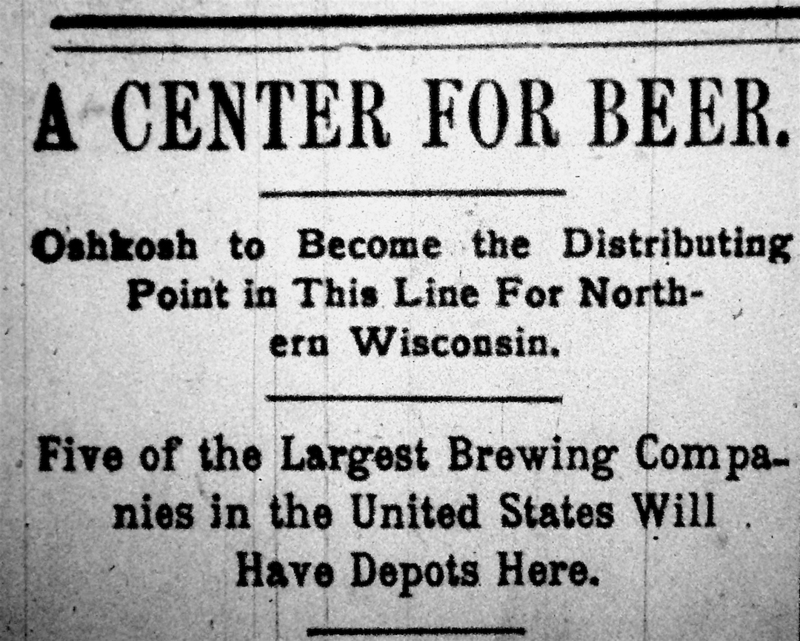 By 1898, The Oshkosh Brewing Company (OBC) had come to dominate the beer market here. OBC was founded in 1894 upon the merger of three Oshkosh breweries. The consolidation was triggered, in part, by the market pressure brought by Schlitz. OBC’s subsequent rise subdued Uihlein’s charge into Oshkosh. By the time Uihlein died in 1911, Schlitz appeared content to hold onto what it could here and made no further inroads. When Prohibition arrived in 1920, Schlitz began shedding its Oshkosh properties. The corner saloon in the Uihlein Block at Washington and State had closed a year before Prohibition began and the building itself was sold to Wisconsin Public Service in 1922. The bottling plant and warehouse facility were sold in 1928. 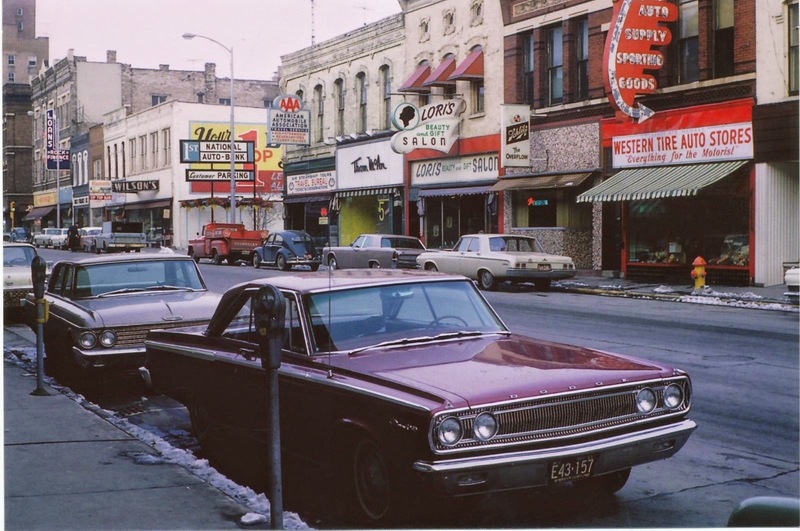 It wasn’t until 1972 that Schlitz finally cast off its original saloon in Oshkosh. The spot where Uihlein launched his Oshkosh campaign still had a Schlitz sign hanging out front into the 1970s. Today it’s known as Oblio’s Lounge. When Uihlein purchased the building 130 years ago, it was the only place in town where you could always count on getting a fresh Schlitz on draft. That’s still the case today. 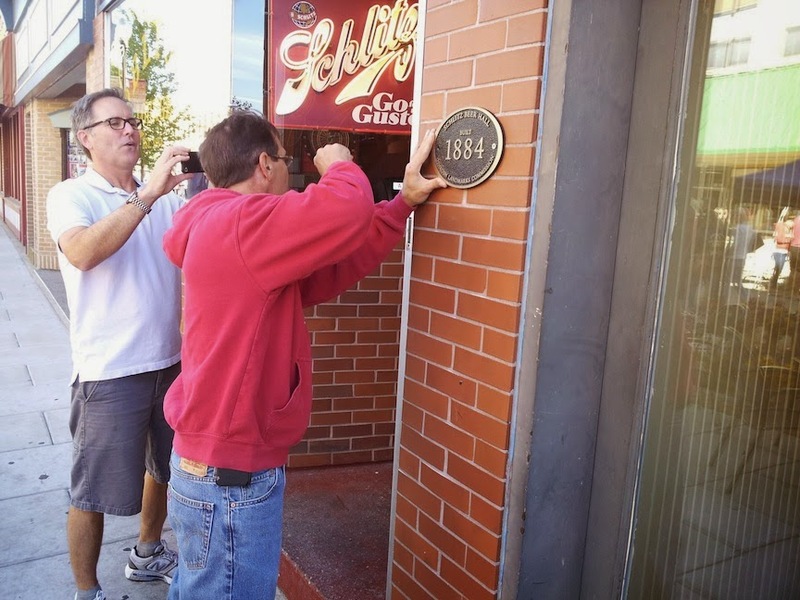 From 2013, Oshkosh Landmarks Commission plaque commemorating the Schlitz Beer Hall.